One of the oldest churches in North America, Notre-Dame-des-Victoires was built atop the ruins of Champlain's first outpost. 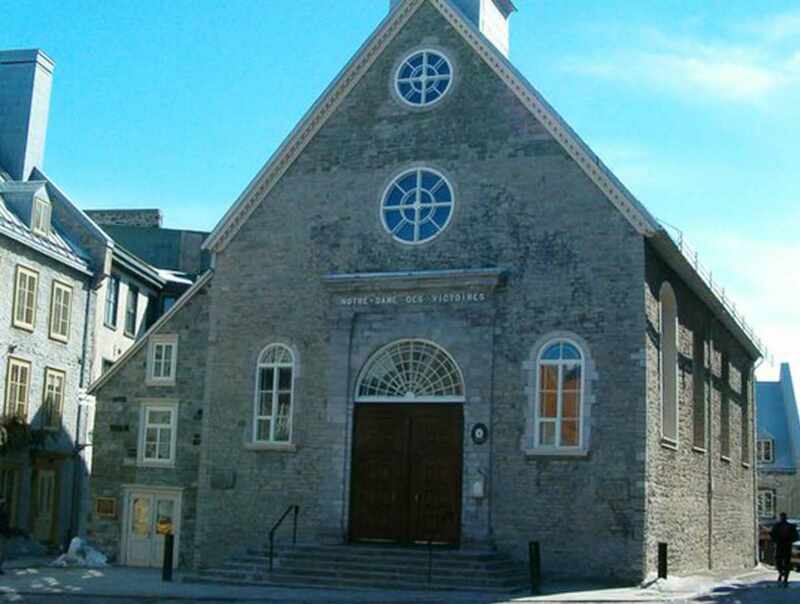 After being severely damaged during the Siege of Québec, the church was rebuilt in 1763. The interior décor bears witness to Québecers' faith and history. A model of the Brézé, the ship commanded by the marquis of Tracy, can be seen inside the church, along with numerous votive offerings. The church continues the tradition of blessing and handing out little buns on the feast day of its patron saint, St. Genevieve. Hours: the church is closed until June 2019 for refurbishment. Closed: The church is closed from November to April, except Sunday. Schedule may change, check our calendar of events on our website.